Lamaque is an underground gold mine in Val-d’Or, Quebec. Commercial production was declared on March 31, 2019. Lamaque achieved commercial production March 31, 2019. 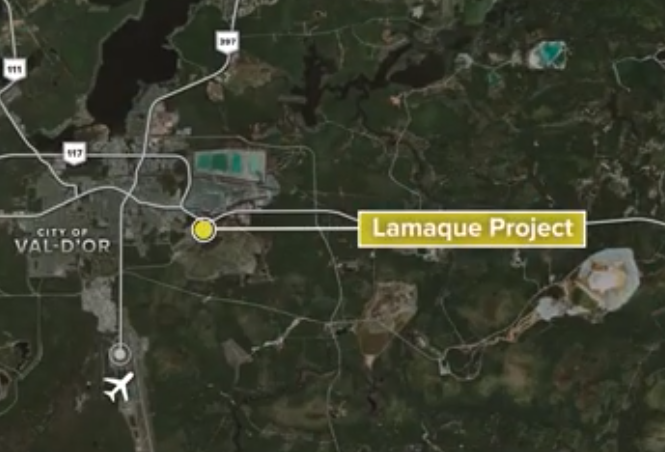 In 2019 Lamaque is planning to mine and process over 500,000 tonnes of ore at an average grade of 7.0 grams per tonne gold. Production is expected to be 100,000-110,000 ounces of gold (including pre-commercial production), at cash operating costs of $550-600 per ounce of gold sold. 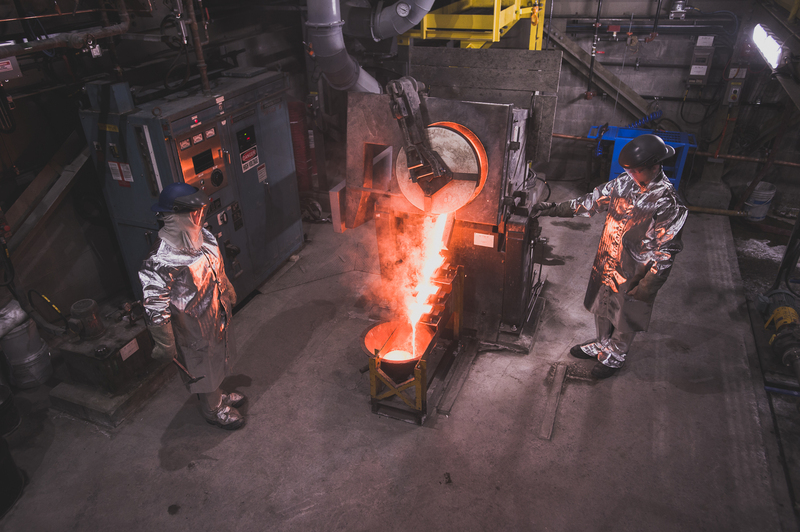 Production is expected to be 100,000-110,000 ounces of gold (including pre-commercial production), at cash operating costs of $550-600 per ounce of gold sold. Total capital expenditures for 2019 (excluding proceeds from pre-commercial gold sales) are forecast to be below the PFS estimate at approximately $80-90 million, including $35-45 million of sustaining capital. 37,000 metres of exploration drilling are planned to further expand resources in the lower part of the Triangle Deposit in 2019. In addition to the ongoing resource upgrade and resource expansion drilling, the company filed Pre-Feasibility 43-101 Technical Report March 29, 2018, the results of which are highlighted in theTechnical Studies Press Release dated March 21, 2018. A maiden Reserve of 893,000 ounces was declared for the Triangle Zone, within Measured and Indicated Resources of 1.3 million ounces with a further 1.3 million ounces of Inferred Resources. The technical report outlines an initial seven year mine life with production averaging 117,000 ounces per year. * Ounces produced include pre-commercial production. The Lamaque operation consists of the newly-discovered Triangle gold deposit located only 2.5km south of the historical world-class Lamaque and Sigma Mines, which are also on the property and produced over 10Moz of gold. The Triangle deposit is located in the Val d’Or mining camp, at the eastern end of the prolific Southern Abitibi Greenstone Belt. The deposit is an Archean greenstone-hosted orogenic lode gold deposit. Gold is found within quartz-tourmaline-carbonate veins, which are hosted within a series of sub-parallel sub-vertical shear zones centered around a steeply plunging cylinder-shaped porphyritic diorite (“The Triangle Plug”), which intrudes the mafic volcanic stratigraphy of the Val d’Or formation. Individual gold bearing veins and associated alteration are on average 4-5m thick, sub-vertical and extend 500-700m horizontally and vertically and have a fully diluted average grade of approximately 7 g/t Au. To date, seven structures have been identified by drilling from surface to around 1,000m vertical depth. Secondary structures or splays from these principal shear zones can also host significant gold but are typically less extensive and more discontinuous. 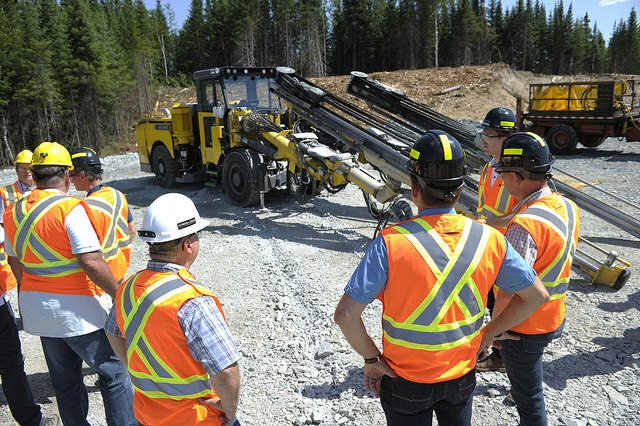 A recent deep drilling program has been successful in demonstrating the mineralized system extends to at least 2km below surface. The Triangle deposit is typical of the high-grade orogenic gold deposits found in the Val-d’Or camp and the greater Eastern Abitibi region. Numerous exploration targets occur within the Lamaque operations area, both at depth at the Triangle deposit and associated with other nearby occurrences. 37,000 metres of exploration drilling is planned in 2019 to test those targets. March 2019 Commercial production declared. December 2018 First gold pour achieved at Lamaque. March 2018 Pre-Feasibility 43-101 Technical Report published. July 2017 Eldorado acquires remaining outstanding shares to own 100% of Integra Gold and the Lamaque operations. May 2017 Preliminary Economic Assessment for the Lamaque operations published. 2015 Eldorado acquires a 15% interest in Integra Gold following a Private Placement.